Tron Uprising is a bespoke font designed in 2012 for the American animated science fiction television series, part of the Tron franchise. It is dedicated to sub-branding of the Walt Disney company television series. 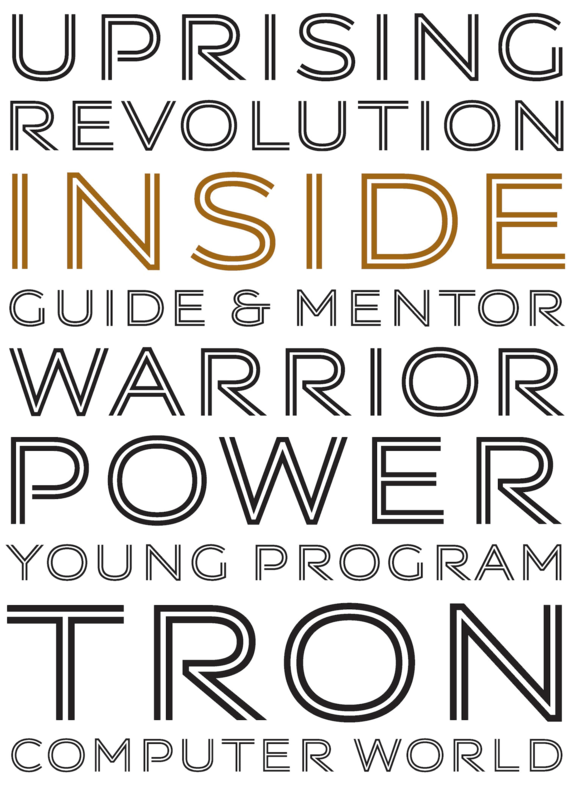 The Tron Uprising inline all caps typeface is designed to catch the light, featuring disconnected letters, as the original Tron logotype. Copyright Typeface designed for an exclusive use by Walt Disney Company.